We live in a beautiful little village, which is located Nurmijärven Rajamäki (South Finland). My family includes my dear husband, 3 children and our cherished cats. My breeding is a very small scale with only a few litters each year, and our cats are beloved family members. My foremost aim with my breed is healthy cats and lovely type! All my breeding cats are tested for FeLV, FIV and HCM, and the blood groups are also defined. I go with my cats on a regular basis FIFE's catshows and our cats are socialist, and they are accustomed to children. 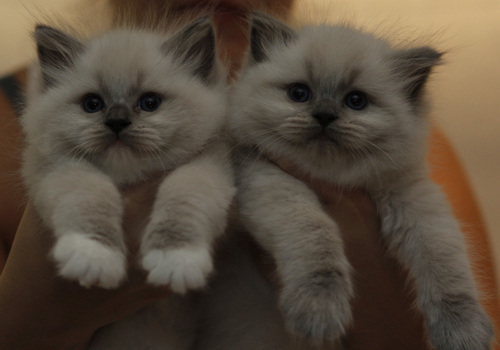 I am a member to a Finnish Cat Association, Finnish Ragdoll cat club and Finnish Ragdoll Cat Breed Association. I sincerely hope cooperate with other reputable catteries around the world and you can contact me by e-mail, telephone or by Facebook. Fi*Dolldesire´s wishes you a happy winter!